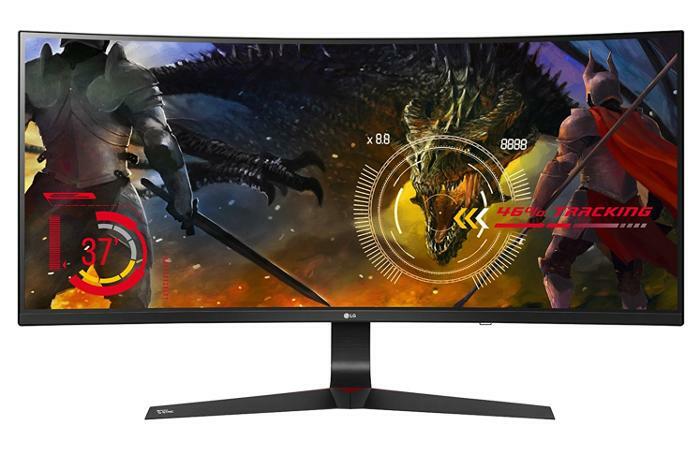 The LG 34UC89G-B is a 34-inch curved 2560x1080 display with G-Sync on sale at Amazon for $600. Today's a good day to get a great 34-inch G-Sync monitor. Amazon's got the curved LG 34UC89G-B on sale for $600, which is the lowest price yet for this monitor based on data from CamelCamelCamel. Usually it sells for over $700, and earlier this month it was selling for $750. LG's monitor features a 34-inch HD PS display with a 2560x1080 resolution, a 144Hz refresh rate, and a 5-millisecond response time. It comes loaded with Nvidia G-Sync so you can synchronize refresh rates between your monitor and a compatible GeForce graphics card. For extras, LG added a Black Stabilizer feature that makes it easier to see more detail in dark game scenes, and there's also an on-screen "crosshair" feature to help you aim in first-person shooters. Finally, LG added its Dynamic Action Sync, which is supposed to reduce input lag.